Any idea why they are doing this at this time of year? My thoughts exactly. Being at the bottom of a lake - I don’t know how large it is - one would think it wouldn’t move around, especially since it’s been there since 1959. Cold-water dive training maybe? I couldn’t understand why they wouldn’t have waited until spring or even early summer. It’s not like it’s going anywhere. Maybe when I get a few free moments I can read the above article and research the lake some. But that will have to wait for the moment. In 1959, Ray Gran and Harold Thompson crashed in the Cessna 180 float plane into Peter Pond Lake. The plane was discovered this past Summer by Ray Gran's daughter and son-in-law, Linda and Donald Kapusta with the help of sonar expert Garry Kozak. Waves and wind ended first attempt in August. Lots of the big trucks that go down through the ice, on the big lakes up north, they bring them up in the winter versus open water. I think once they are up…it is easier to get them to shore, than pulling through the water or loading onto something to get them to shore…just a thought…and RCMP Divers are really busy during the other seasons? Human remains, personal items recovered by RCMP divers from the site of a 1959 plane crash in Peter Pond Lake in northern Saskatchewan. The Saskatchewan Aviation Museum plans to start diving the week of March 18. 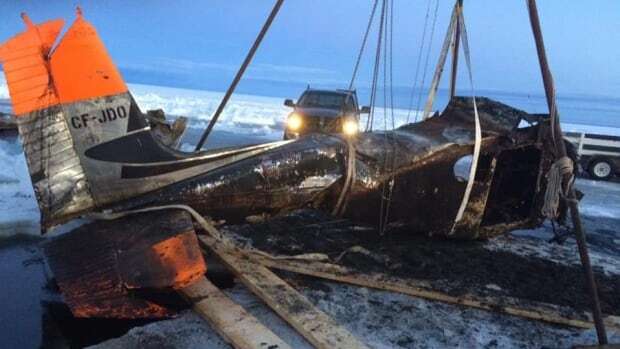 A plane that spent nearly six decades on the bottom of a Saskatchewan lake has finally landed in its new home. That was a very touching article. I’m so glad the families finally have closure… and made new friends as well. I wasn’t sure exactly what bannock was so I searched it. Unleavened flat bread… I do like that. Tried many versions from all over the world… just the recipes, not traveling. The 3 of us (me, myself and I) even made Irish soda bread a years ago for my daughter to bring in to school for St. Patrick’s Day. Okay, that was many years ago. (Doesn’t seem like it though… only about 22?) But when I saw all those delicious recipes for bannock from around the world, it started making me hungry. Good thing my wife it doing some major grocery shopping later today or tomorrow. I’ll have to add a few items to her list. That is how communities here work…always helping, always there for each other. Many times while taking photographs I pull over on the side of a road, or leave my car on a back road and walk into the bush. Several times I have had people come looking for me to make sure I am ok . I answered my phone the other day and pulled over, and a young guy about 17 pulled over and asked me if I needed help. It is part of our culture. Love this about my province. The elementary school aged kids learn to make bannock. They can make it in a can over a fire, or wrap it on a stick and hold it over a fire also. or wrap it on a stick and hold it over a fire also.